Snowridge Country Cabin ist geschmackvoll in einem modernen Stil eingerichtet und Northwoods bequem Platz für sechs bis acht Gäste. Dieses neu renovierte drei Schlafzimmern, zwei Bädern ist sicher, mit seinen 4 Etagenbetten, 1 Doppelbett, 1 Queen-Schlafsofa und 2 Doppelbetten bitte. Snowridge liegt in den grünen Wäldern des Waldes und bietet eine großartige Terrasse mit spektakulärem Blick auf Espe und Tanne im Winter und den herrlichen Bergsommer. Es gibt umfangreiche Mountainbikewege in der gesamten Region zu erreichen so hoch wie 11.000 Fuß. Das Shakespeare-Festival in Cedar City, 35 Minuten entfernt, ist weltbekannt und spielt den ganzen Sommer. Forellenangeln in Bergseen ist auch ein beliebter Zeitvertreib. Das Skifahren auf 10.000 Fuß hat einige der trockensten und besten Pulver in der Existenz. Die Skipisten sind überfüllt und bieten eine Vielzahl von Gelände. Motorschlitten fahren und Snowboarden sind ebenfalls erhältlich. Fabulous Cabin at Brian Head. Very close to ski lodge! Just got back from a fantastic stay at this cabin. The cabin was clean, fully equipped and just like the pictures. The location is amazing. Just minutes from a general store and the ski area, yet you feel like you are in the middle of nowhere. Janan was an incredibly responsive host. We definitely want to come back again. Thank you! Thank you, Jason, you are welcome back any time! Lovely cabin close to the ski hill! Enjoyed our stay at the cabin. 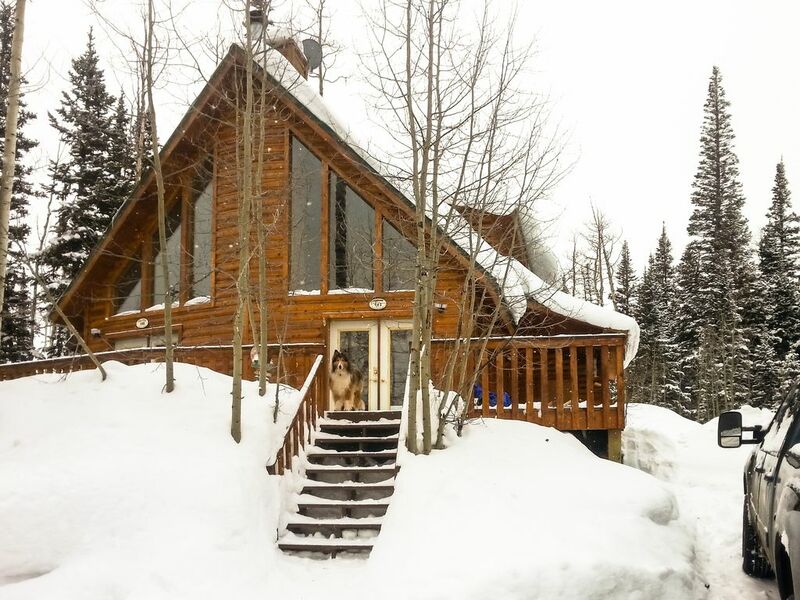 Great dog friendly home that was close to skiing. Thanks for the encouragement. I love it when people have a great time. Such a quaint cabin and in a central spot for easy access to the lifts. This was one of, if not the coziest places my family and I have ever stayed at. It was the perfect place for our family of 7, in the perfect location. General store was just yards up the street, as was Navajo Lodge and ski lifts. And Roger and Janan were great, responsive hosts/owners. The pictures of and comments about this cabin do not do it justice. The location is secluded, but within minutes to the ski resorts and the country store. This was our first time to Brian Head and our first family Christmas away from home. We were all impressed with the cabin, how much space there was for the 5 of us (4 adults, 1child), and especially grateful that it was pet friendly. A lot of great memories from our stay, the snowfall on Christmas Day made it even more special. Definitely felt like home were you can relax, enjoy a walk around the neighborhood, and play in the snow. Excellent cabin that is well equipped with everything you could think of and more. We will definitely come back again and would recommend this cabin to others. Wonderful cabin that has everything you need! We stayed at the wonderful cabin for Christmas and it was just perfect! Had a lovely stay. We all played in the snow. Relaxed in front of the fire and enjoyed the peace. My kids are very picky and said they LOVED this cabin! Everything was clean and fully stocked. She even had coffee for us! The cabin was quiet and relaxing. The owner was extremely helpful and nice. Best cabin we have every stayed in! We will defiantly be booking again! Thank you! Thank you! You are welcome at Snowridge Country Cabin at any time. Snowridge Country Cabin liegt nur wenige Gehminuten von den Navajo Liften (weniger als fünf Minuten) entfernt. Der Shuttleservice zum Giant Steps Lift ist einen Block entfernt. Wir bieten auch kostenlose Langlaufausrüstung, Schneeschuhe, und Kajaks auf Anfrage.